If you experience itchy, stinging, watery and red eyes from eye allergies, that is nothing to sneeze at (pun intended). Eye allergies can affect your ability to work, read, and enjoy the outdoors, but more importantly, eye allergies cause us to rub our eyes which can increase the risk of an eye infection by 50 times, as well as increasing the risk of other more serious complications and conditions. There is no better place to take care of your allergies and put a spring in your step (another pun intended) than at our state of the art eye care center servicing Danbury and Stamford. 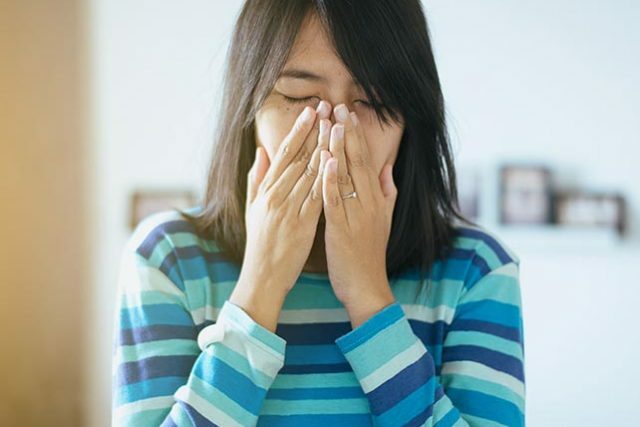 Our optometrists have extensive experience and use the latest technology to assess the cause of your allergies and provide a custom designed treatment plan to help you get back to normal. One common misconception is that eye allergies can be managed effectively with over the counter medication. While in some cases that may work, in many cases an optometrist will be able to advise on more effective solutions. Is An Eye Allergy Exam Covered By Insurance? Your visit to the optometrist will be billed to your medical insurance as opposed to your vision insurance. Treatment of eye allergies also referred to as allergic conjunctivitis or ocular allergies, is a covered medical service for most insurances. Medical eye services include any medical complaint such as pink eye, dry eye, allergies, and diabetes). Approved testing will in many cases need a co-pay. Airborne substances found in nature such as pollen from flowers, tree pollen, grass or trees. Wear sunglasses outside to protect your eyes, not only from UV rays but also from airborne allergens. When itching begins, immediately place a cold compress over your eyes for a few minutes. If you don’t have a compress, wrap some ice cubes in a wash cloth. This is also a great option for children as it keeps them from rubbing their eyes and minimizes chemicals being put into eyes from other treatments. Put a bottle of sterile saline solution, preservative-free contact lens solution or a commercial eye wash product in the fridge to chill and then use it to rinse out itchy eyes. This is particularly beneficial if your eyes have been exposed to dust and pollen. Preservative-free over the counter eye drops are best as those with strong preservatives tend to sting the eye. Avoid drops that promise to “get the red out” as they don’t help allergy symptoms or offer treatment. Instead, they constrict blood vessels which can have significant side effects. If symptoms persist, an optometrist will diagnose and prescribe medications to treat the condition. 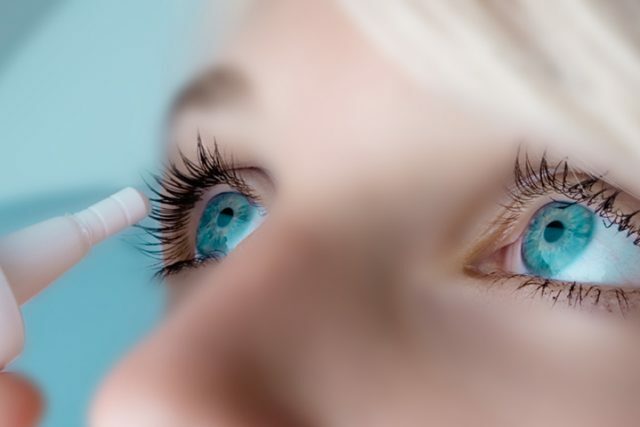 Prescription eye drops are more effective at reducing inflammation and itch. Some are gentle enough that they are approved for use in children as young as two years old.